The kitchen plays a special purpose in any home, but it’s not just a place where we cook and prepare our meals. It’s also a place where everyone can socialise at the beginning and end of the day, and it’s a place where we can eat and do some work. This is why it’s of particular importance to make sure your kitchen is not only functional but pleasant and welcoming as well. 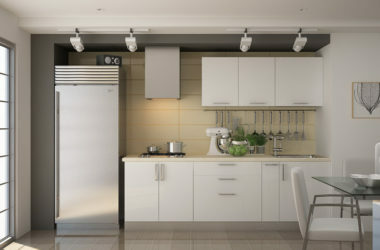 And one of the biggest factors that contribute to kitchen functionality and ambience is the layout. So what do you need to think about when designing the layout of your kitchen? There are some common rules, but there are also some common mistakes. 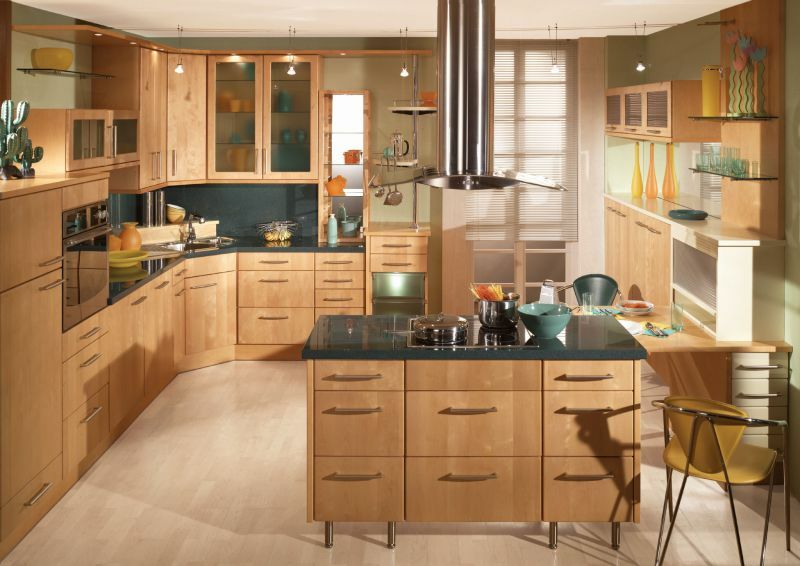 Here’s a look at the top mistakes you should avoid when designing your kitchen layout. Kitchen experts refer to the area of the refrigerator, stove or cooker, and sink as the all-important kitchen triangle, as this area will often have the busiest activity. When you design your kitchen layout, make sure your kitchen triangle isn’t obstructed in any way. For instance, your kitchen sink needs to be installed near or beside the plumbing, but sometimes, due to the pipes’ placement, the sink is not installed in a good location. 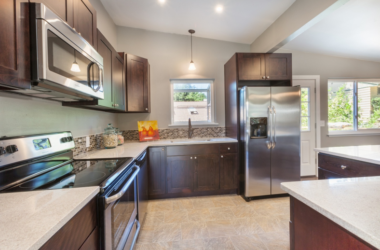 If this is what you have in your own kitchen, you may want to hire a plumber who can relocate the kitchen’s plumbing so there are no obstructions in the kitchen triangle. Remember this as well: no matter what your kitchen layout is, whether it’s galley, L-shaped, island, or U-shaped, the work triangle’s ‘legs’ should not be more than 7.6 metres or less than 3 metres; you don’t want people to bump into each other or be too tired after preparing a meal. A standard kitchen contains a lot of items, and some items can be bulky and awkwardly-shaped, such as mixers and food processors. You need to find the proper storage areas for your kitchen appliances whilst making sure they are still accessible. 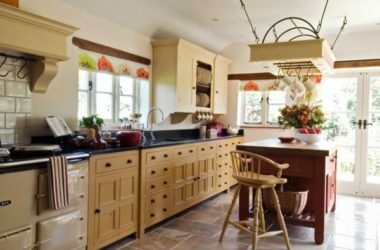 But one big mistake homeowners make is not installing enough areas for storage in their kitchens, as confirmed by the experts in kitchens in Milton Keynes from Splendid SP Kitchens. For instance, if you have a small kitchen and you cannot have too many built-in cupboards, why not install some extra-lengthy upper cupboards for additional storage space? You can also optimise more space by installing cupboards or shelves on top of the refrigerator; think of lots of open shelving as well, in corners, along upper walls, and the like. 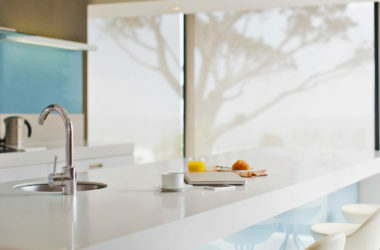 Another major mistake that many people make when designing a layout is not incorporating enough space for the worktop. 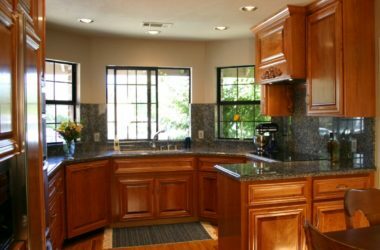 Bear in mind that there are many activities in the kitchen which require a good amount of worktop space, and you also need to have space for appliances such as coffee makers and so on. 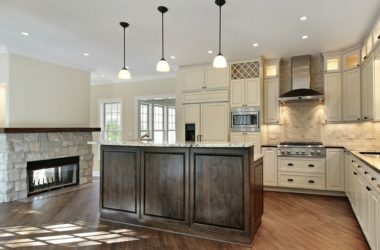 One way to solve this would be to install a small island (if your kitchen is on the small side) or add a breakfast bar. Are Granite Surfaces On The Approach Out? Full featured WordPress publishing theme. Carefully handcrafted and designed with ease of use, functionality and flexibility in mind. Speed, security, SEO, social integration and much more – all in one theme. ©2015 All Rights Reserved. TipsForHome is a registered trademark of TipsForHome Group.